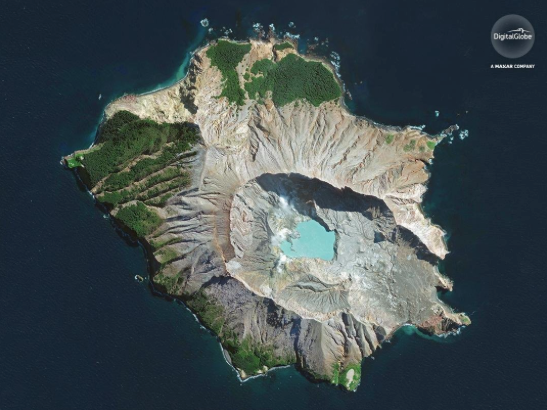 Rising water levels in the crater lake on White Island, New Zealand has climbed 10 meters this year alone. 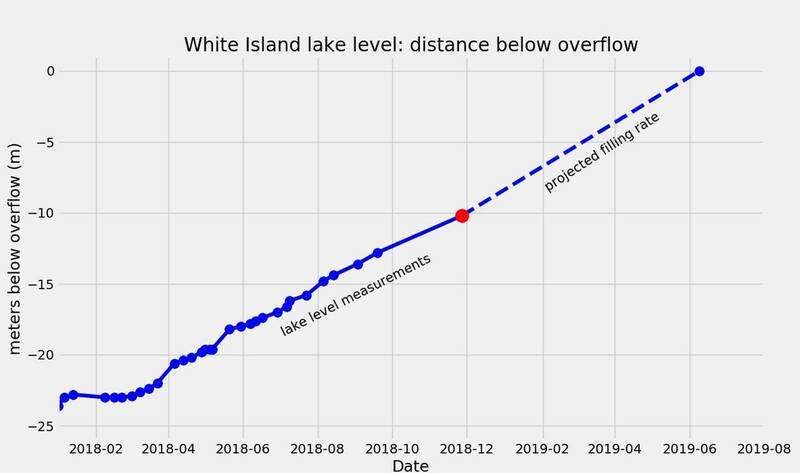 The water level in the crater lake at White Island has risen about 10 metres this year, and could overflow around mid-2019 if it continues rising at the same rate. The previous lake was destroyed after an eruption in 2016 that removed about 13 metres of lake floor sediments, GNS Science volcanologist Brad Scott said. 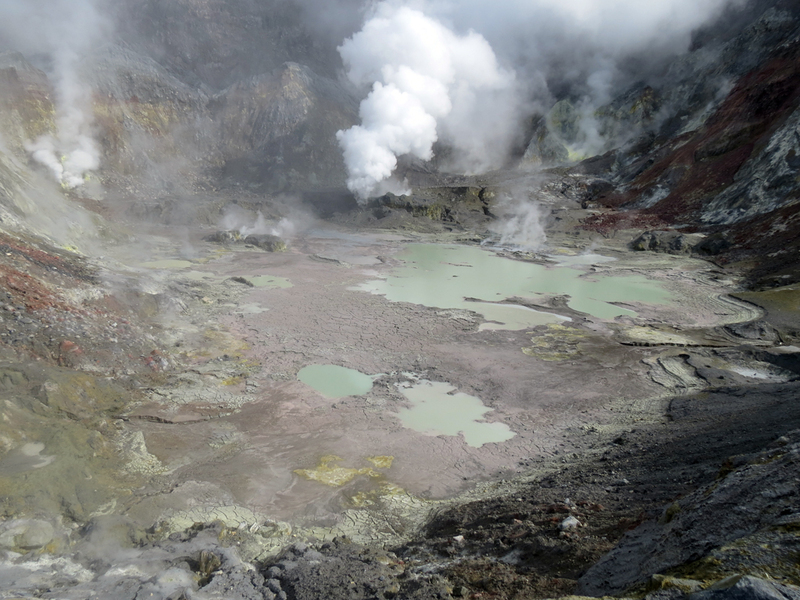 A small crater lake became re-established on the Bay of Plenty island, also known as Whakaari, in January 2018. This week it was about 10m below the overflow level. About 75 per cent of the rise in lake level was estimated to have come from condensing steam vents under the lake, with the rest from rain, Scott said. 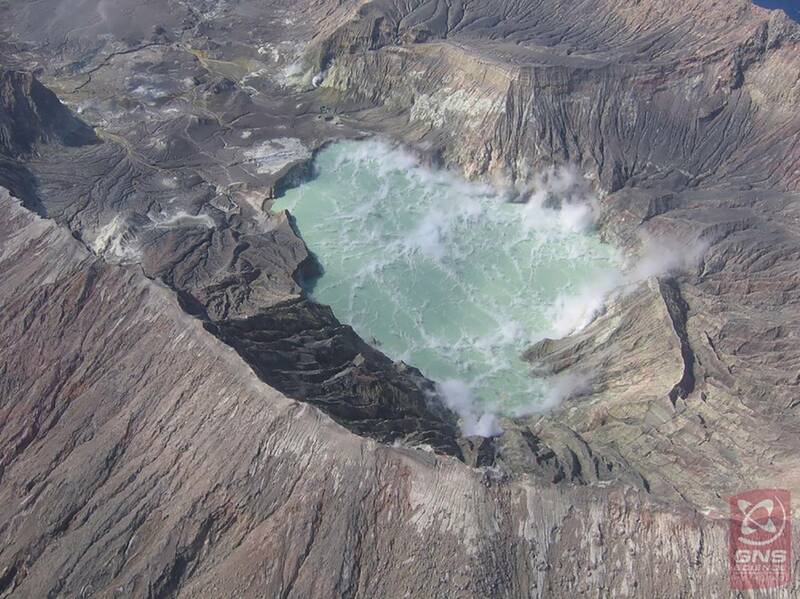 The growing crater lake could cause hydrothermal surface activity as it drowned some of the vents near the lake. That drowning of vents had led to some steam-driven activity - geysering - but most vents seemed to have drowned relatively quietly. "This process is not over yet, with some vents still steaming away above lake level," Scott said. An overflow of the lake could pose a danger to visitors through a large stream flowing across the main crater floor, but there was a low probability of the lake outlet failing, leading to a flood. show the deepening of the crater lake during 2018. The lake had risen in a similar way three times in the past 15 years, coming close to, but never reaching overflow. In February-March of 2006 the lake got to within about 1m of overflow, before receding as the lake heated and evaporated. For now, there was no substantial change in the level of volcanic activity at White Island, Scott said. White Island is in about 48km offshore in the Bay of Plenty. It is New Zealand's most active cone volcano and has been built up by continuous volcanic activity during the past 150,000 years. It is also the country's largest volcanic structure, about 70 per cent of it under water. The island's famous sulphur-green lake, which is as acidic as battery acid, been steadily growing since it became re-established in January. Sulphur mining started on the island in 1885, but stopped in 1914 after 11 miners died when part of the crater wall collapsed, and a landslide destroyed the sulphur mine and miners' village. There was another mining episode in the 1920s. 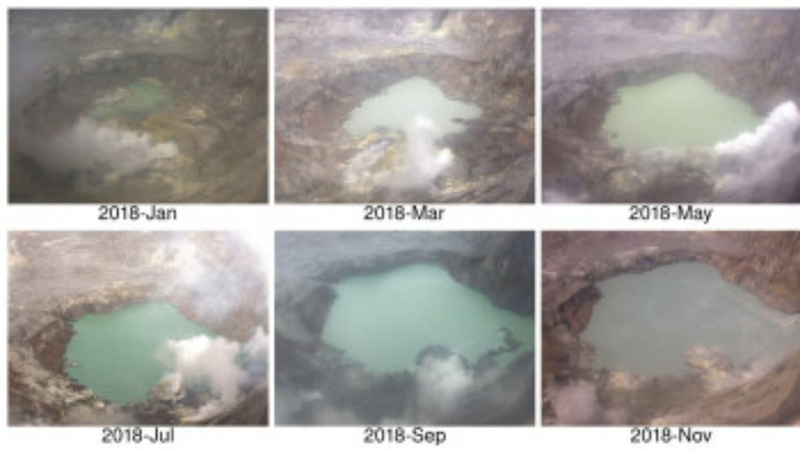 Images from a web camera in the west rim of White Island show the deepening of the crater lake during 2018. Digital Terrain Model of the White Island volcano crater floor as of December 2016. Courtesy of Geonet (Volcanic Alert Bulletin of December 2016). 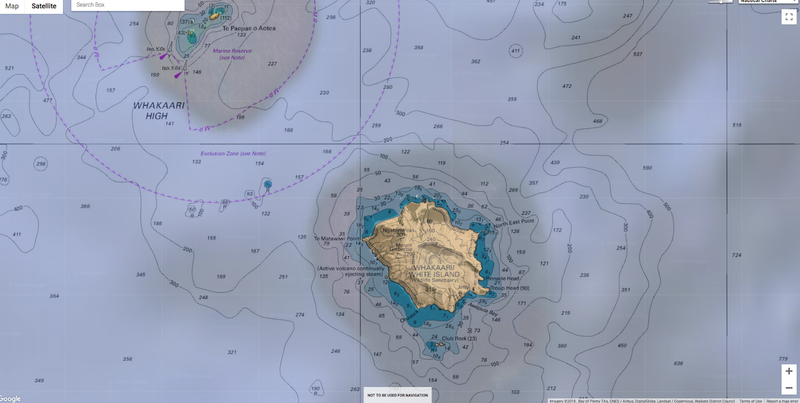 The island was in eruption from December 1975 to September 2000, during which many collapse and explosion craters developed. Volcanic ash was emitted for long periods. That was the island's most active period in hundreds of years. GNS Science said ash and gas plumes rose as high as 10km, lava bombs and blocks were thrown into the sea, and occasionally the glow of red hot rock was visible at night from the Bay of Plenty coast. A plot showing the rate of filling of the crater lake. The red dot is the current level. There was more activity in 2012 and 2013 and then again in April 2016. In the latter event hot ash raced across the crater floor. Scott described it as "basically just sand and gravel; very hot and travelling very fast". 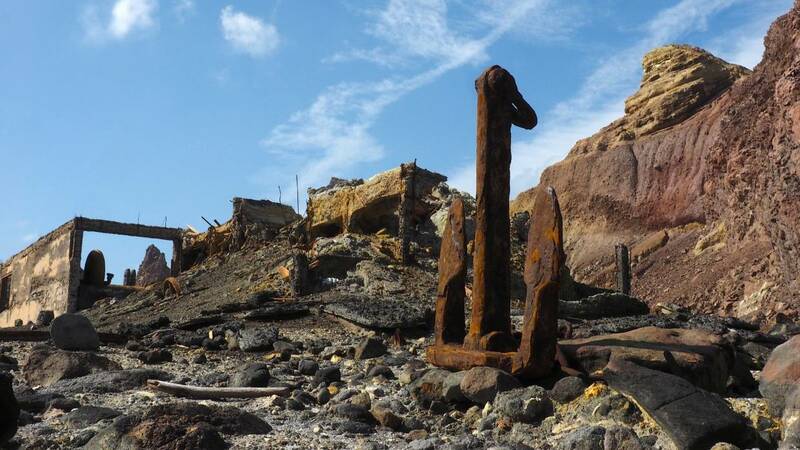 Remnants of sulphur mining efforts on White Island. Fortunately it happened at night when no one was around. In many areas of the crater the chance of surviving would have been low, Scott said. The ash was made up of old lake sediments and crater wall material.